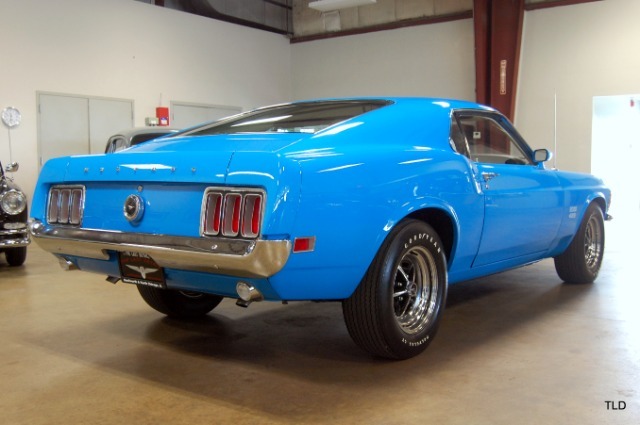 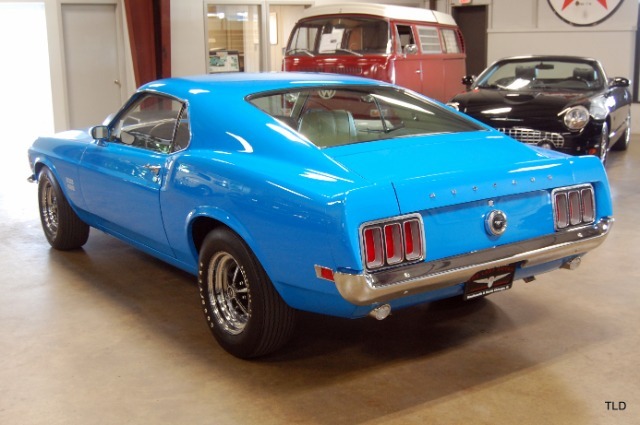 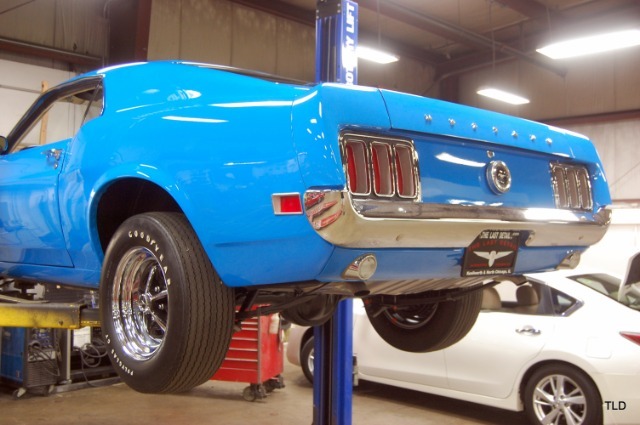 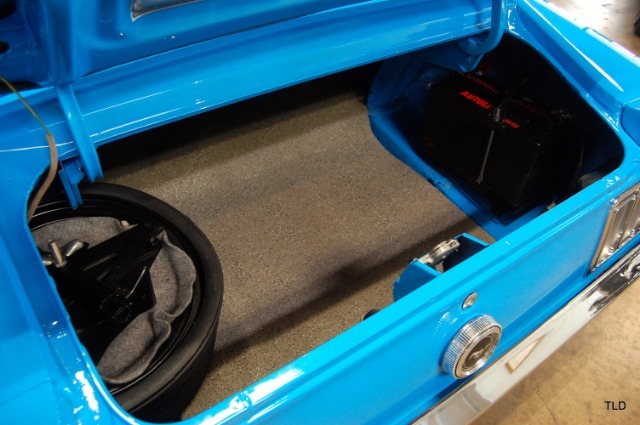 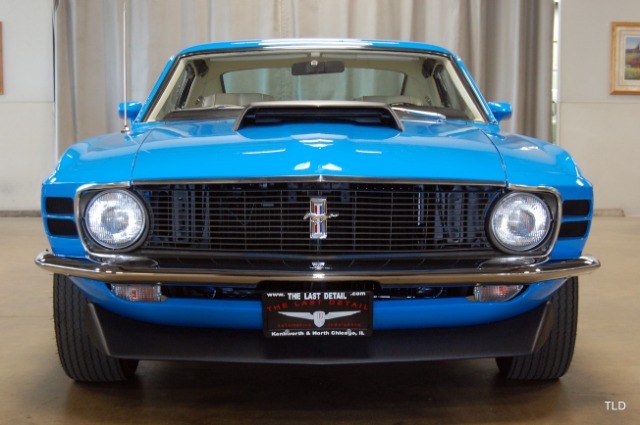 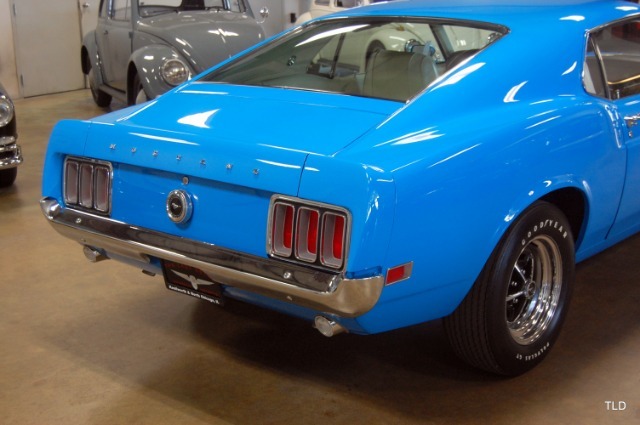 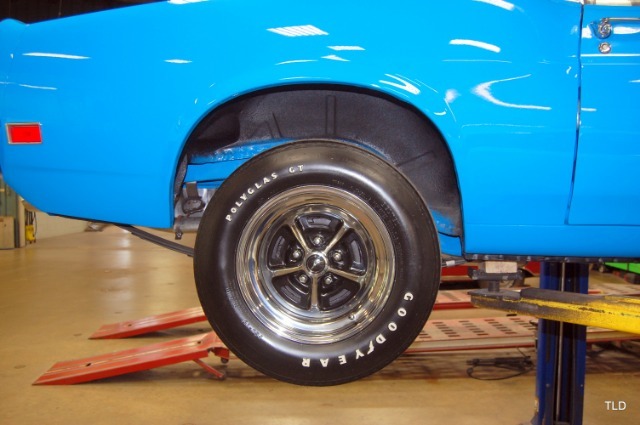 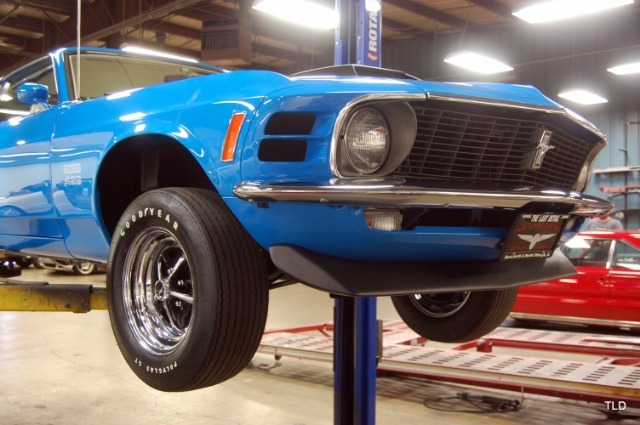 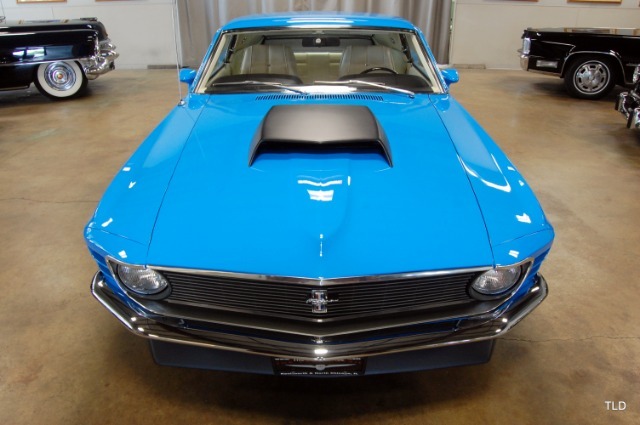 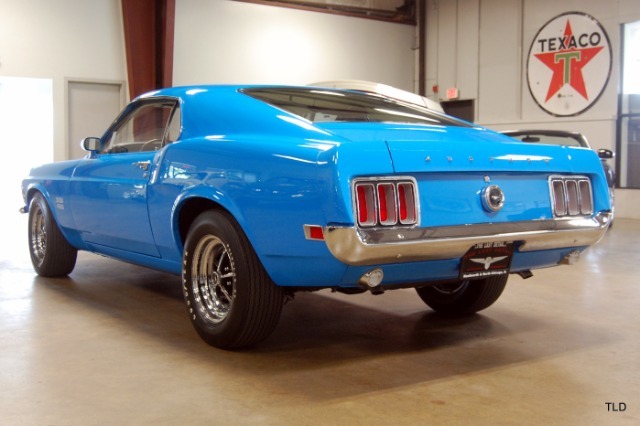 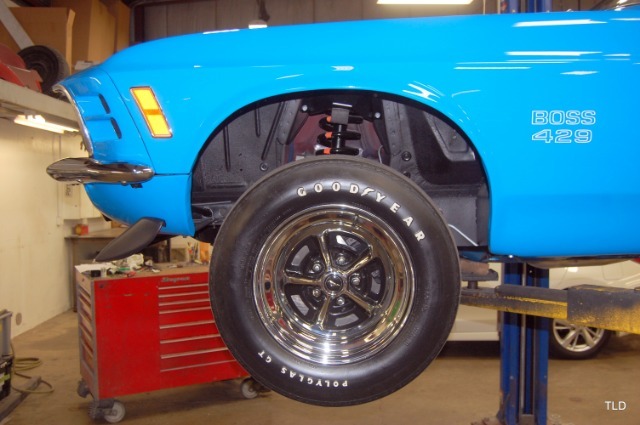 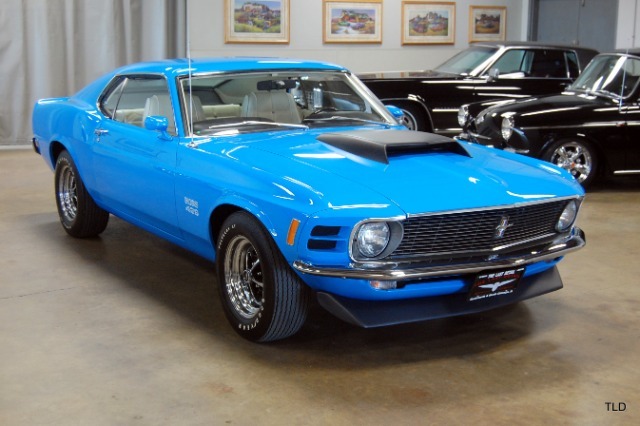 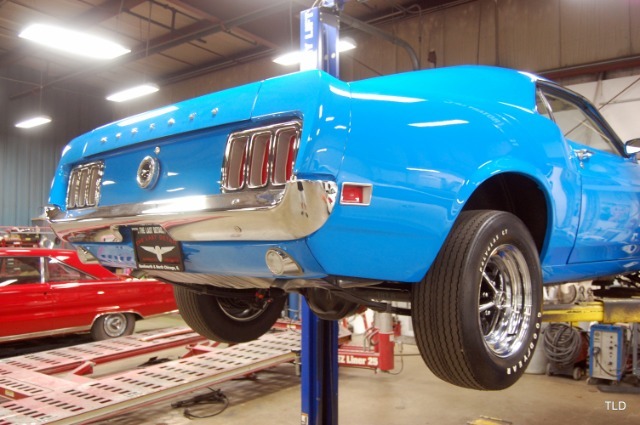 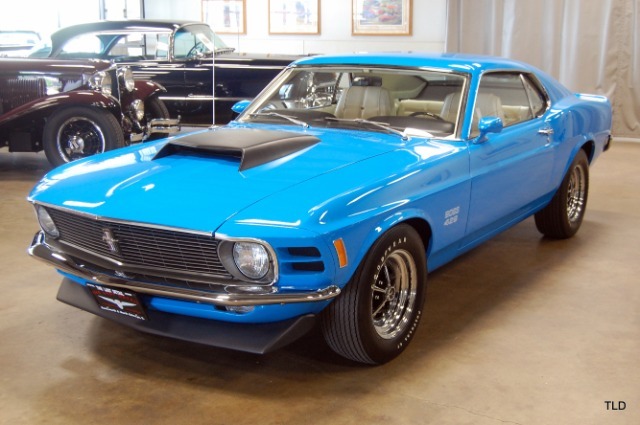 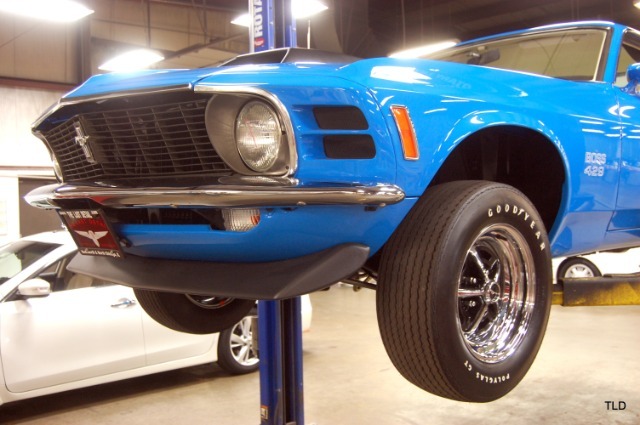 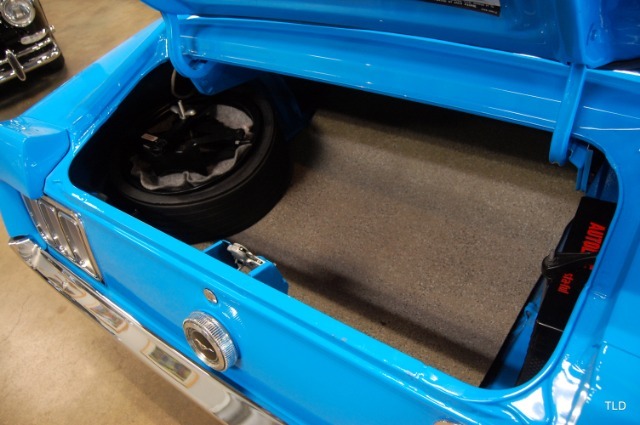 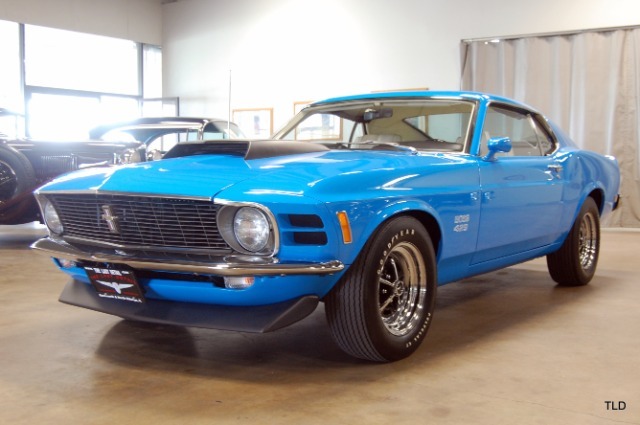 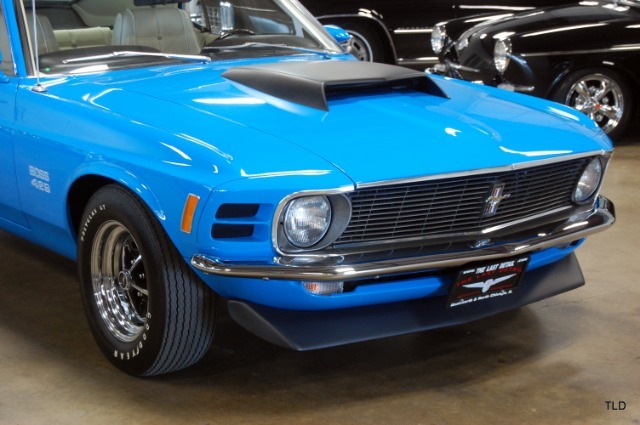 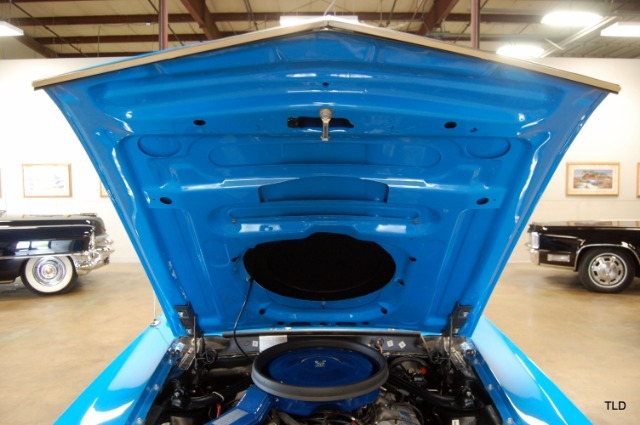 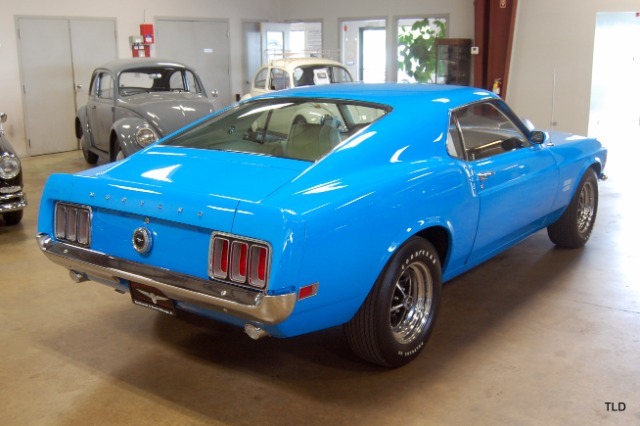 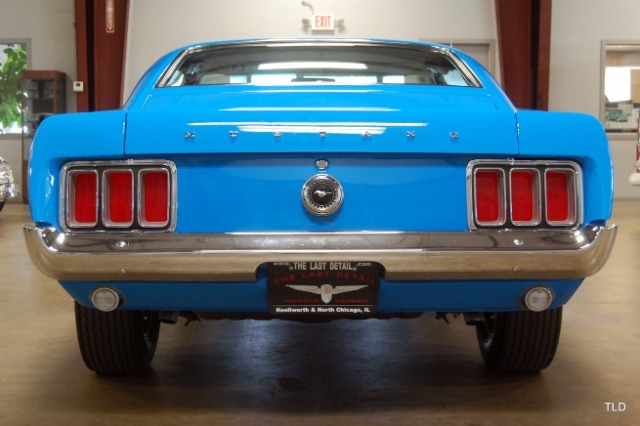 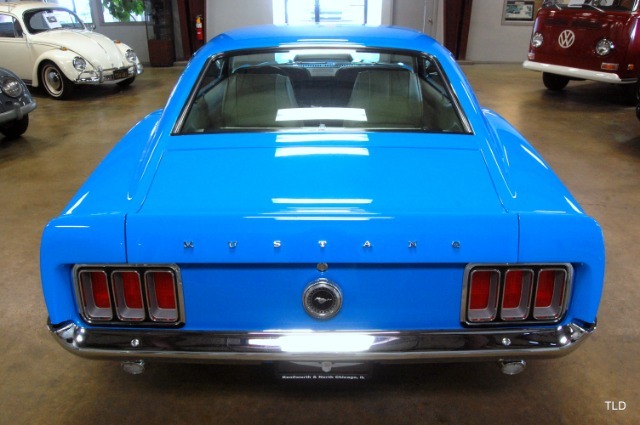 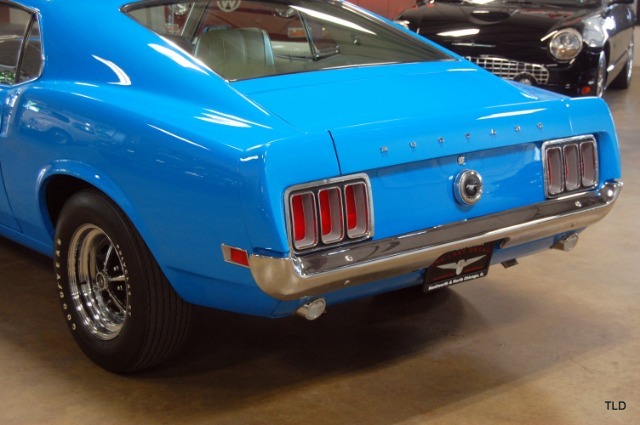 For hard-core Blue Oval performance fans, nothing else compares to Fords mighty Boss 429 Mustang. 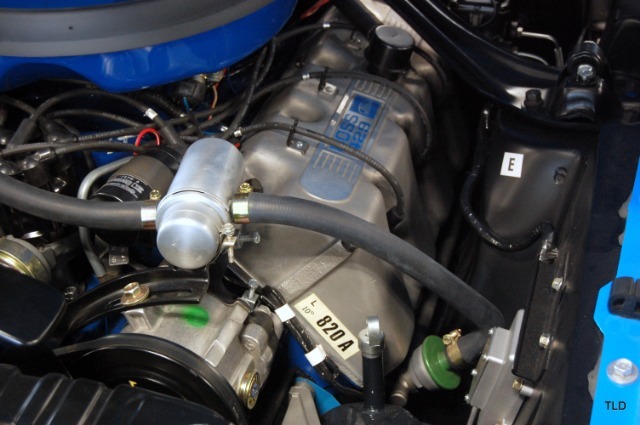 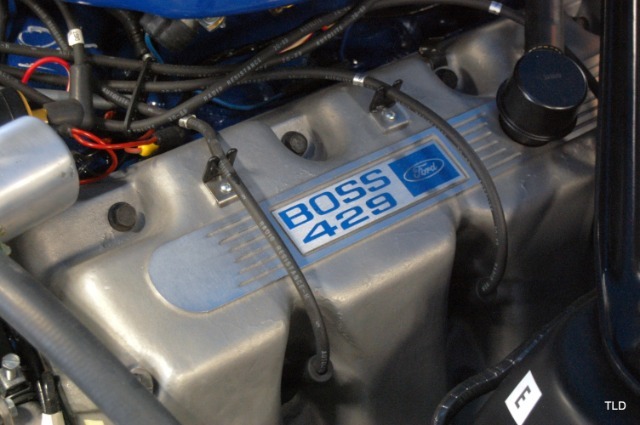 Created and released for just one purpose to homologate Fords hot new hemi-head Boss 429 engine for NASCAR Grand National competition the Boss Nine was essentially hand-built by Ford racing subcontractor Kar Kraft of Brighton, Michigan. 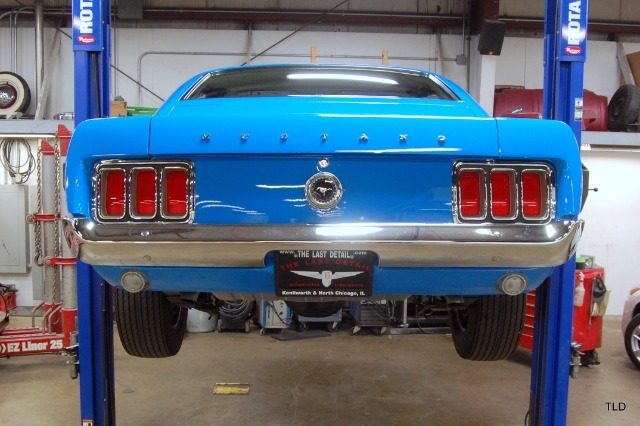 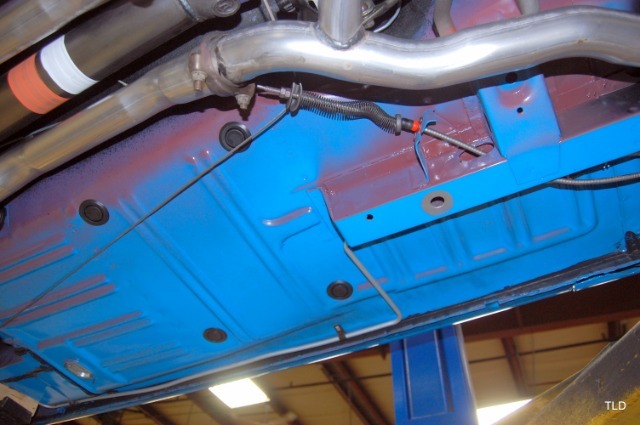 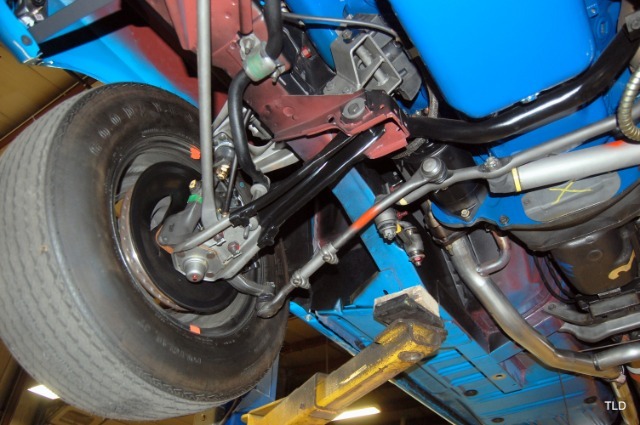 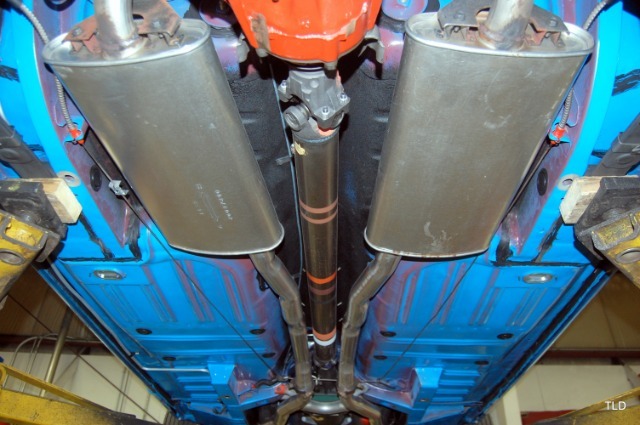 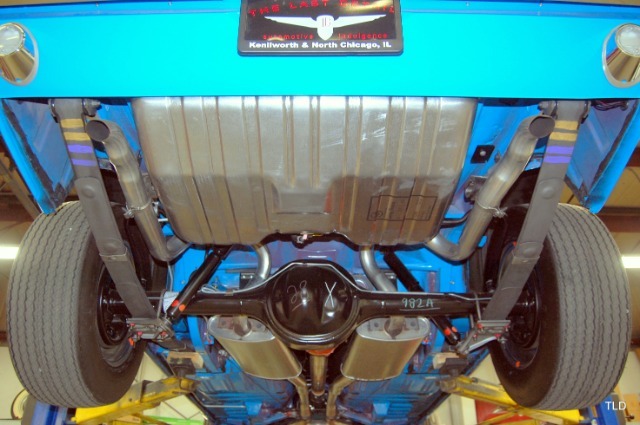 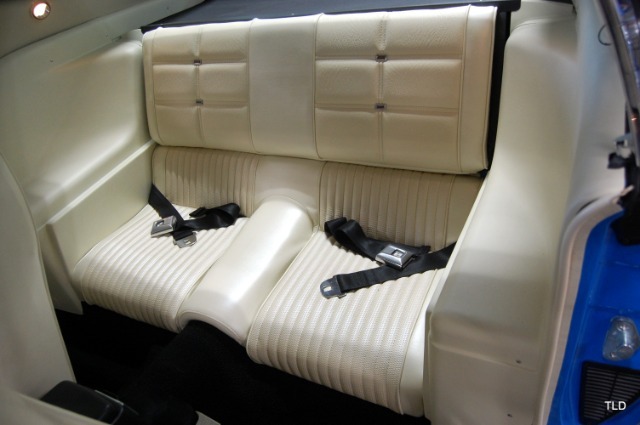 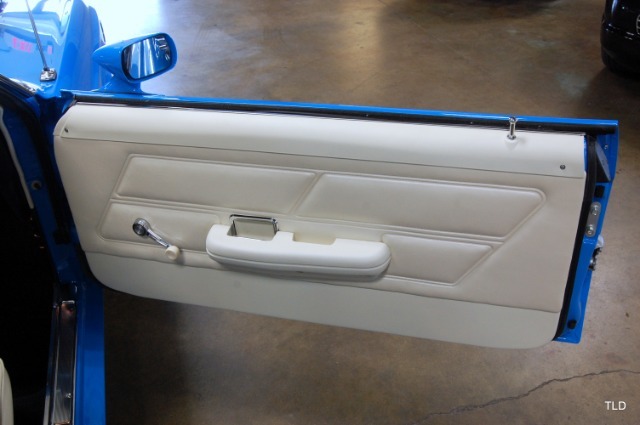 Extensive modifications to the Mustangs basic structure were required to accommodate the big Boss, including the cutting and relocation of the front shock towers. 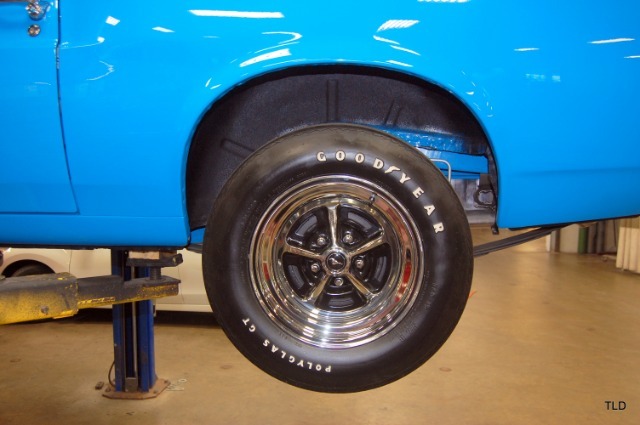 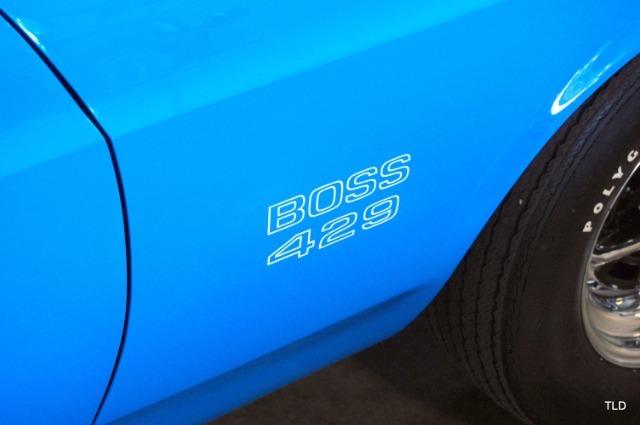 A complete package, the Boss 429 included such special high-performance features as a stout Toploader close-ratio four-speed manual transmission, nine-inch Traction-Lok rear end, 3.91:1 gears, engine-oil cooler, trunk-mounted battery, competition suspension with front and rear anti-roll bars and staggered rear shocks, power front disc brakes, chrome Magnum 500 wheels, and fat F60X15 belted raised white letter tires. 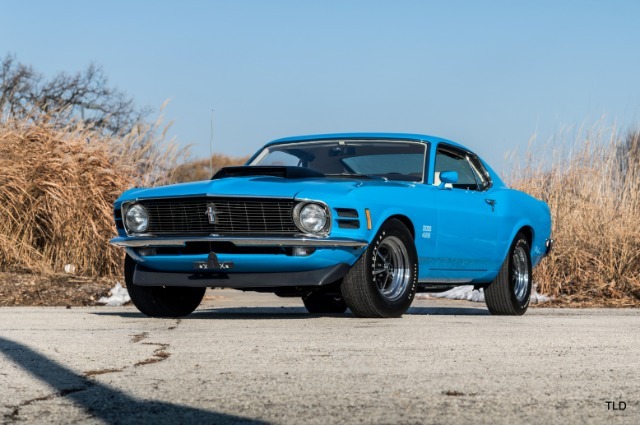 Laughably, Ford rated output of the street Boss 429 at 375 horsepower, a figure well below its more plausible 500-plus horses and hardly explained the cars ability to cover the quarter-mile in the 12-second range with slicks, basic tuning, and only a few minor tweaks. 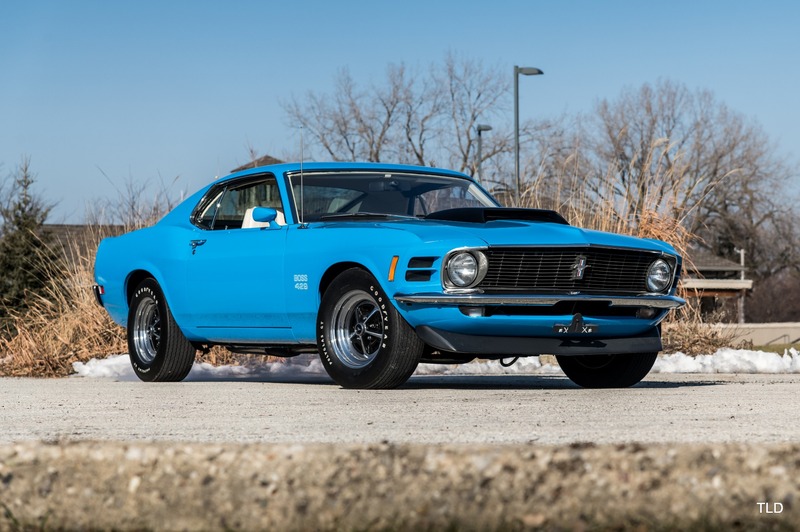 At $4,087, the Boss 429 was the priciest non-Shelby Mustang to date, with limited production of 859 for 1969 (including two Boss-Cougars). 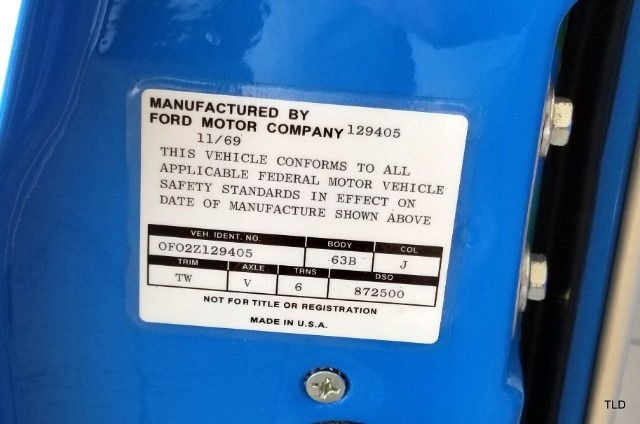 Just 499 or 500 more (depending upon the source) followed for 1970 (including two Quarter Horse Boss/Shelby hybrid prototypes) prior to the cancellation of Fords massive and all-conquering Total Performance corporate racing program of the 1960s. 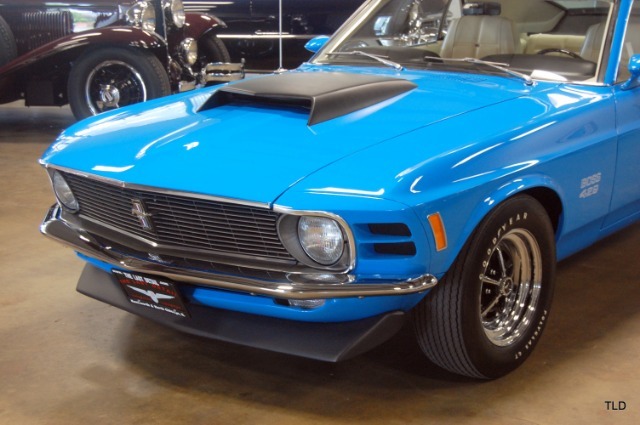 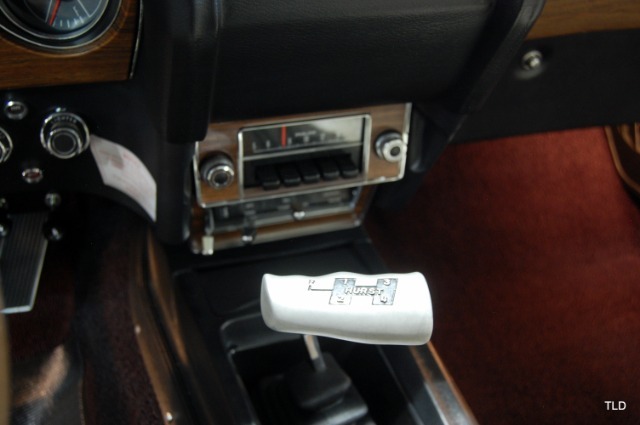 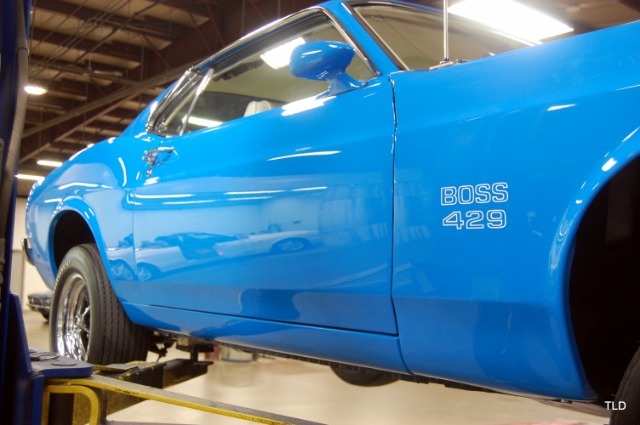 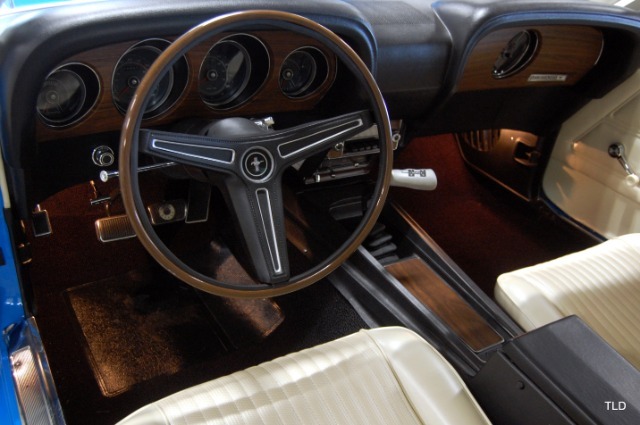 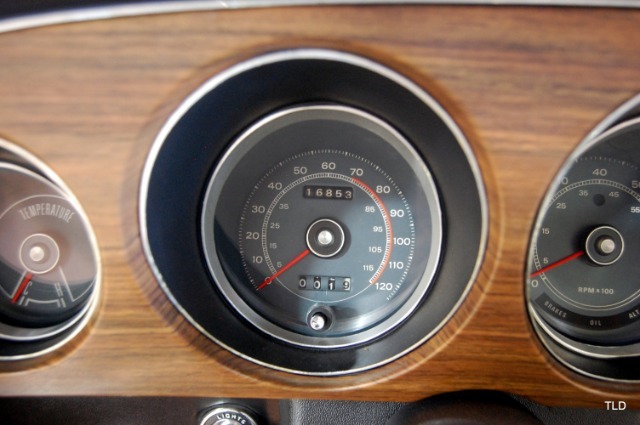 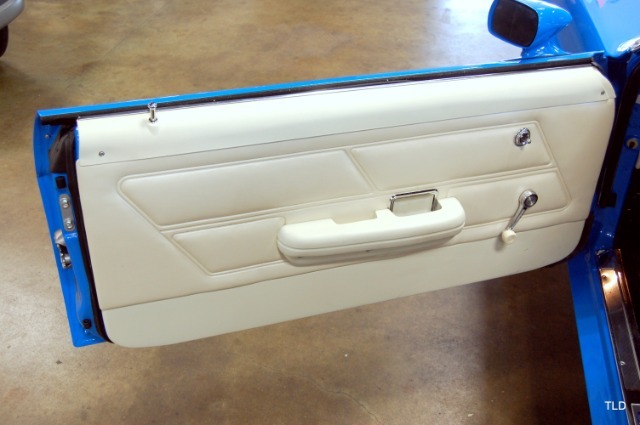 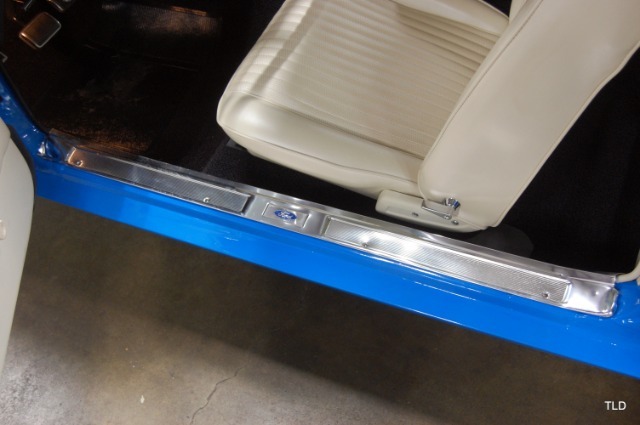 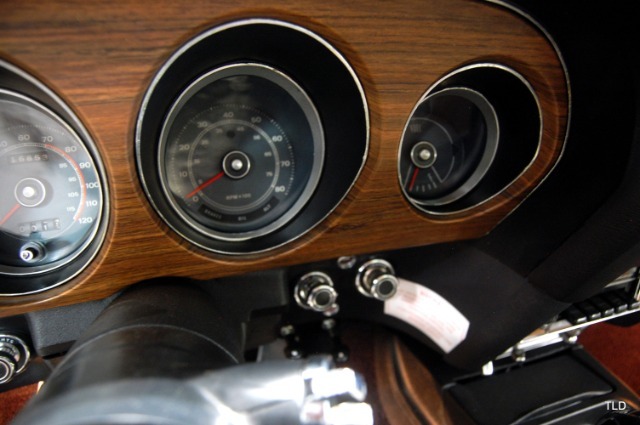 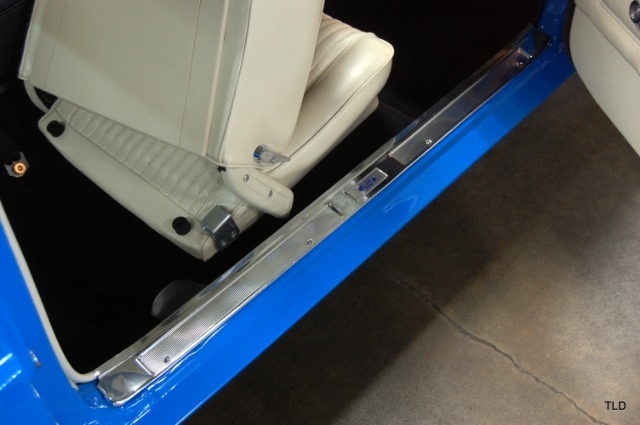 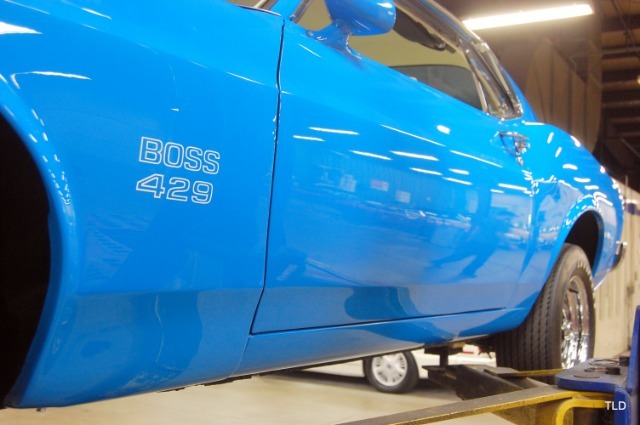 All Boss 429 Mustangs had the same equipment; only their original colors differentiated them. 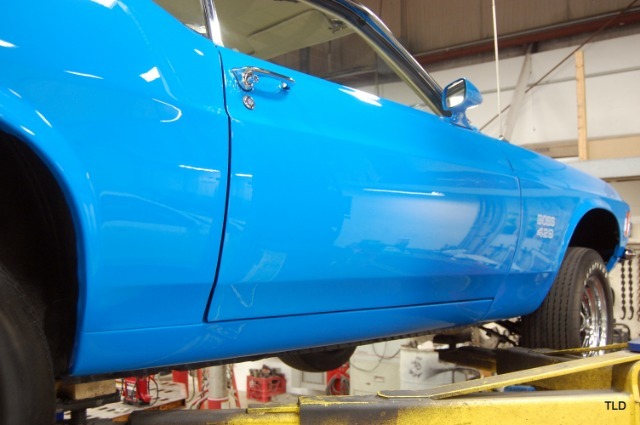 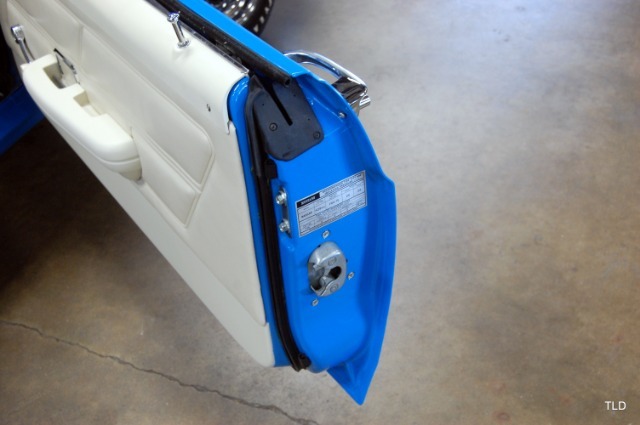 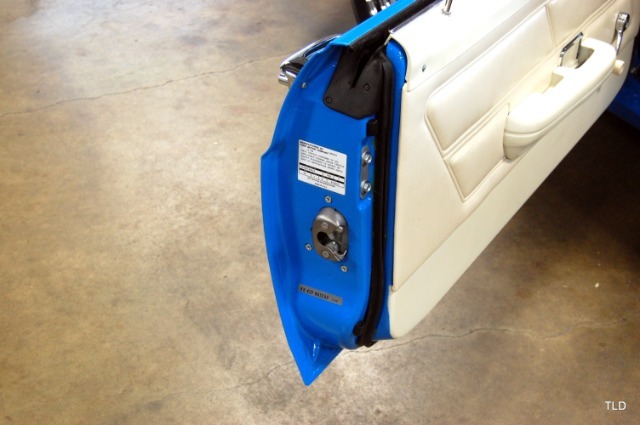 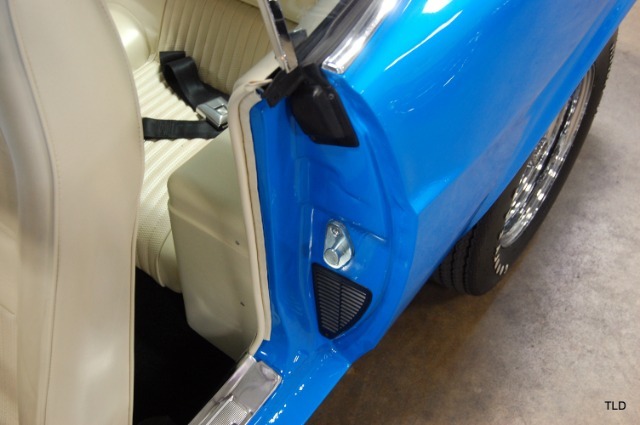 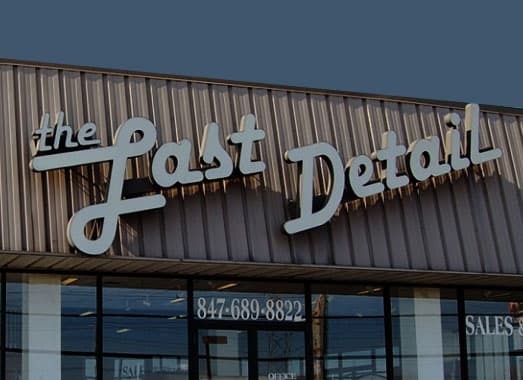 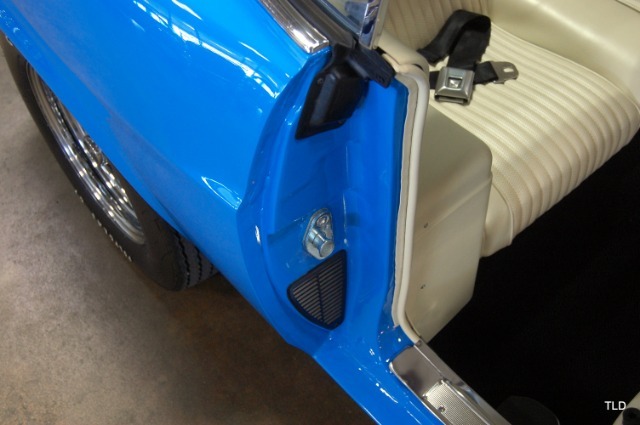 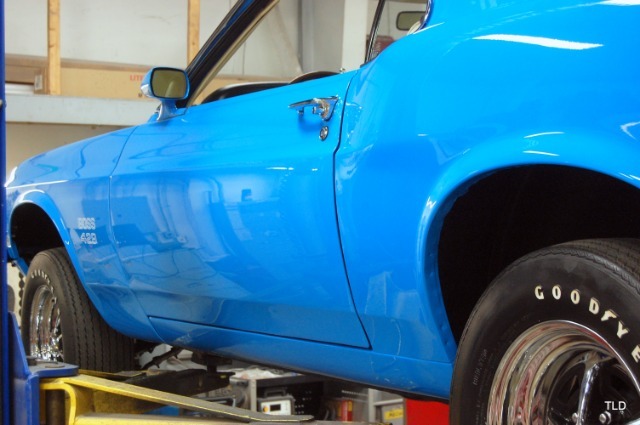 Just five exterior colors were available: Calypso Coral, Grabber Orange, Grabber Green, Grabber Blue, and Pastel Blue. 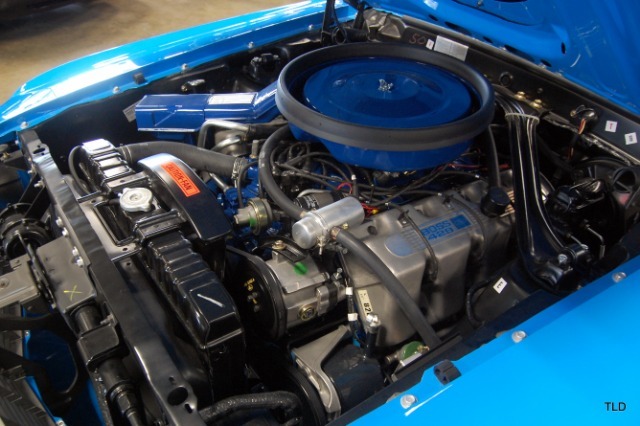 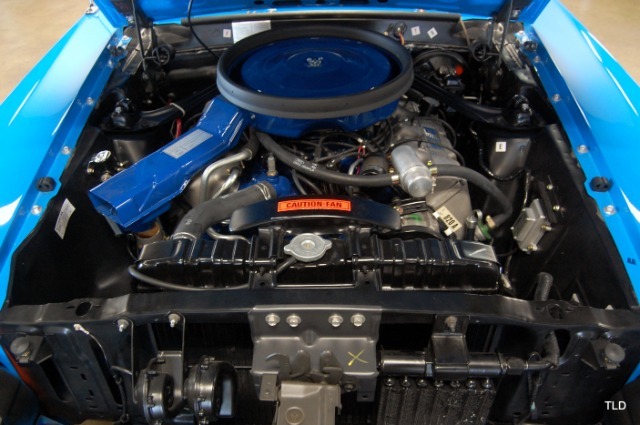 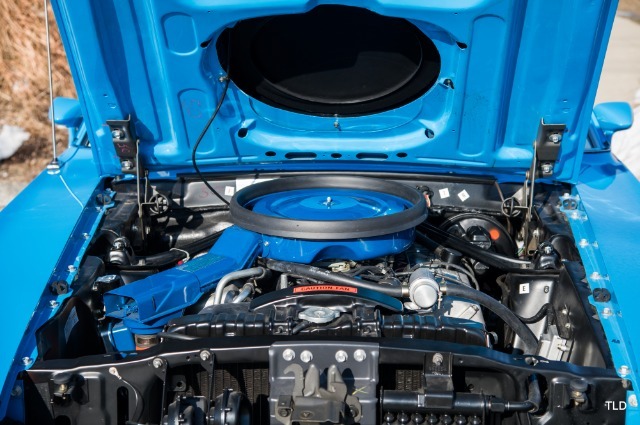 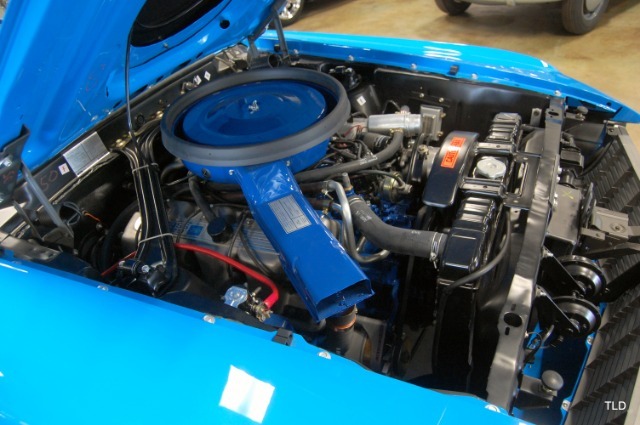 Once released in sufficient numbers, the Boss 429 engine kept Fords racing entries competitive with archrival Chryslers Hemi-powered cars everywhere, including NASCAR superspeedways, drag strips, and the street. 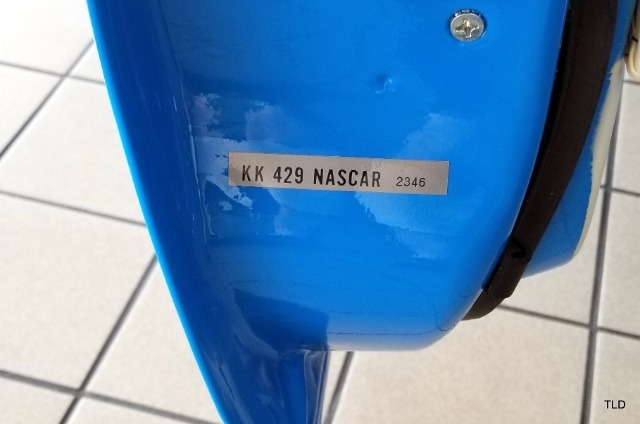 Bearing KK (Kar Kraft) number 2346, this very rare 1970 Boss 429 Mustang is well-documented with a corresponding Deluxe Marti Report stating it was built to Domestic Special Order #2500, produced on November 3, 1969 two days ahead of schedule, and delivered to Julian Harrison, Inc., a Ford dealer in Rome, Georgia, where it was sold to its first owner on March 23, 1970. The car subsequently relocated to Michigan, where it predictably spent much of its early years racing at local drag strips. 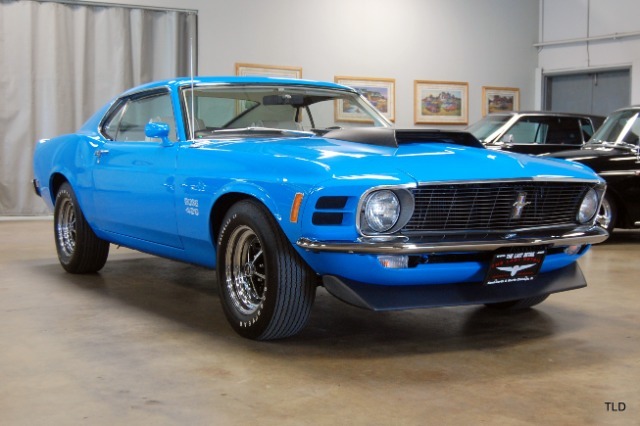 Over the course of the next few years, the car was tuned by famed racer Jack Roush and lightly raced until it was eventually retired and placed into storage. 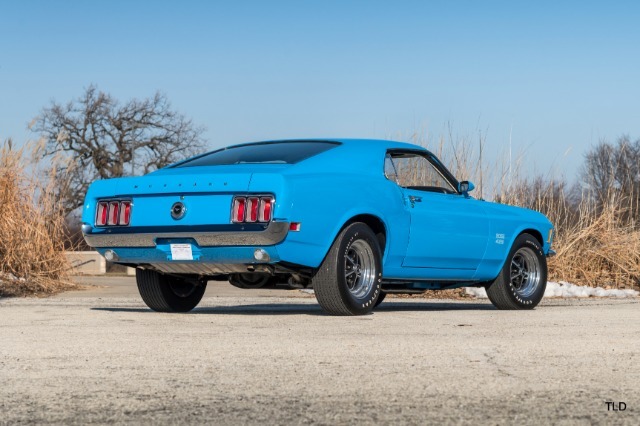 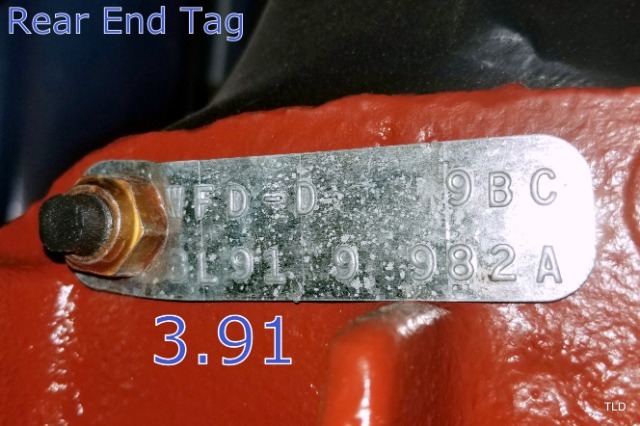 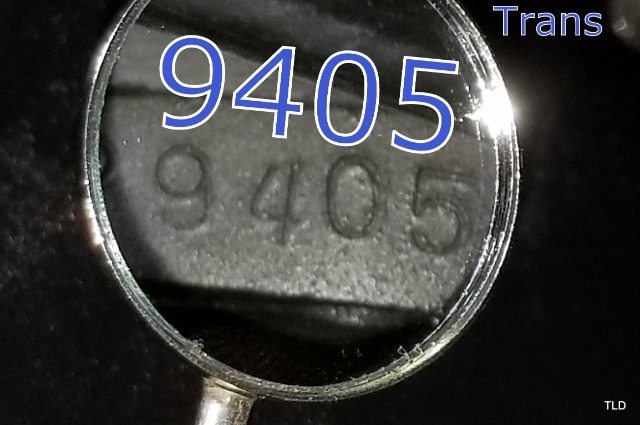 The car reemerged in 2016 and then it was given a complete and highly detailed nut and bolt restoration performed by noted Mustang expert Kevin Manley, resulting in MCA Concours Gold honors with a judging score of 994 out of 1,000 possible points. 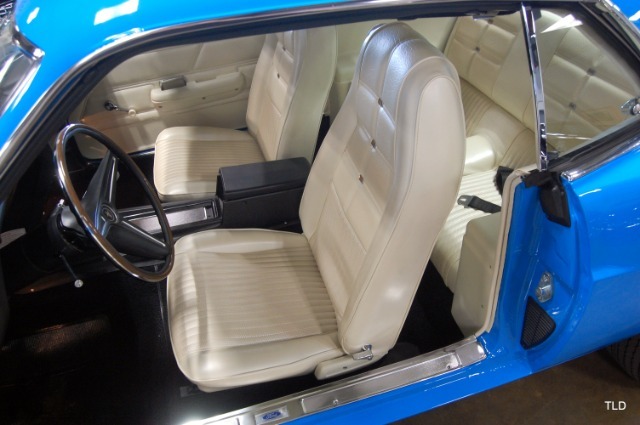 Presented in its highly desirable and factory-specified livery of Grabber Blue with a white upholstered interior, the Boss is concours quality throughout. 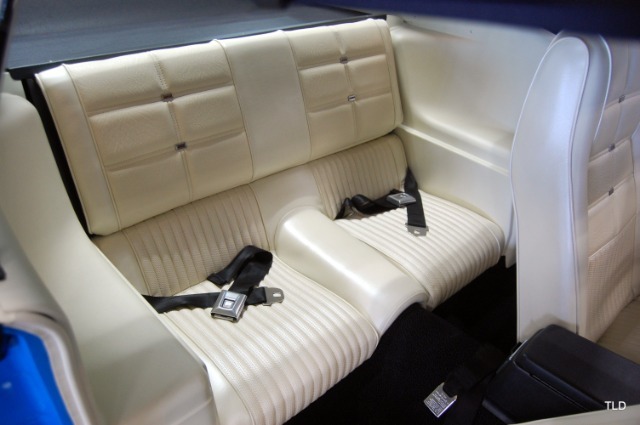 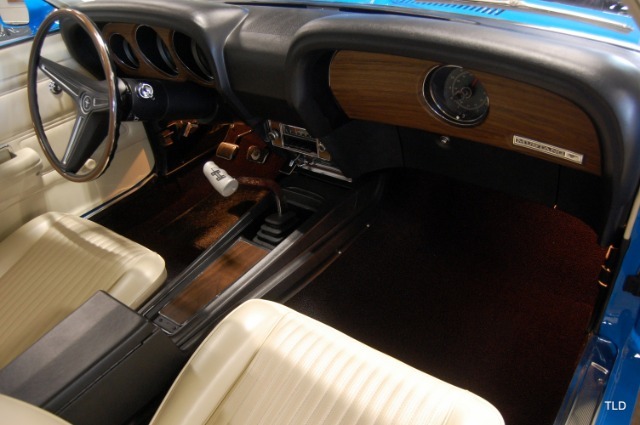 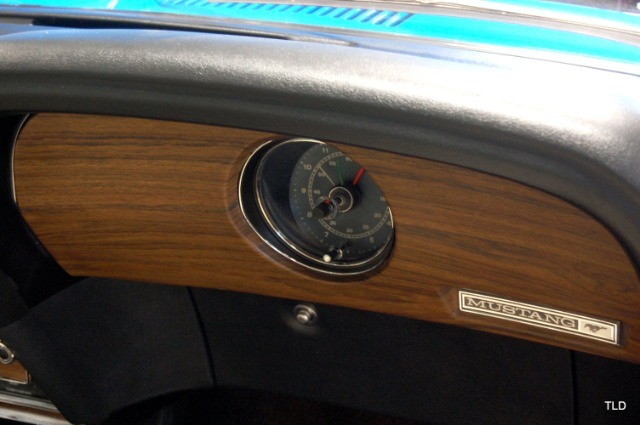 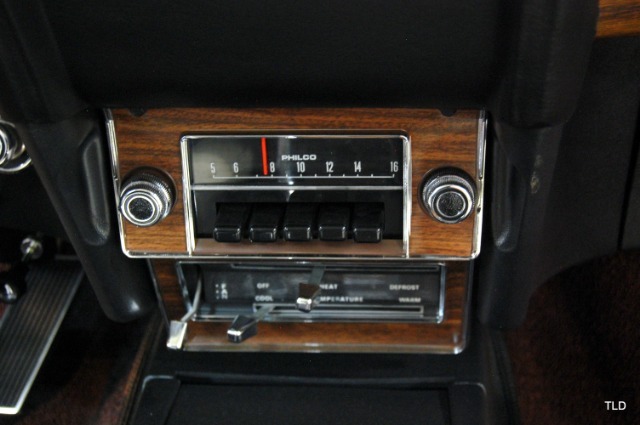 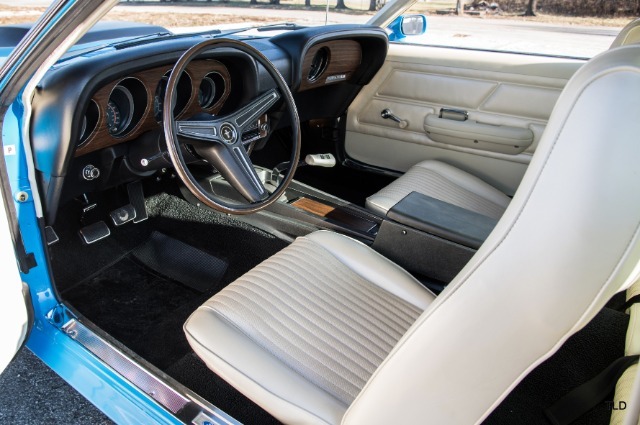 Interior features include a tachometer, deluxe seat belts with warning light, console, deluxe steering wheel, AM radio, and electric clock. 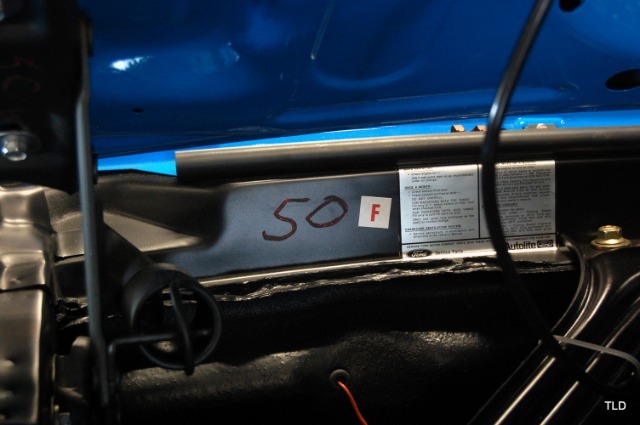 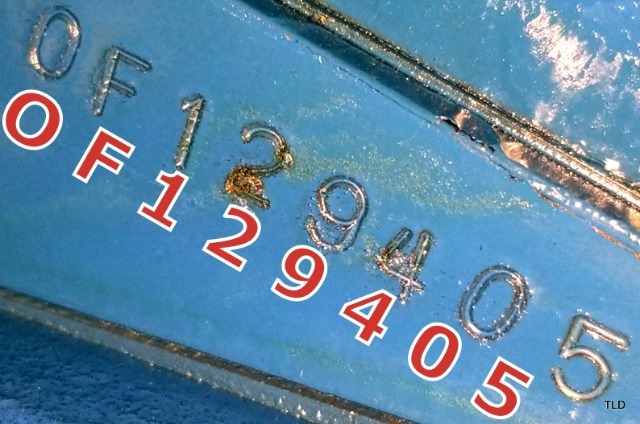 The engine bay remains immaculate, fully detailed with production chalk marks and decals. 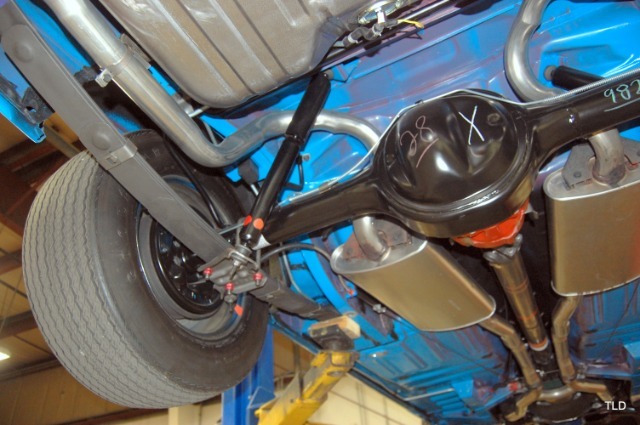 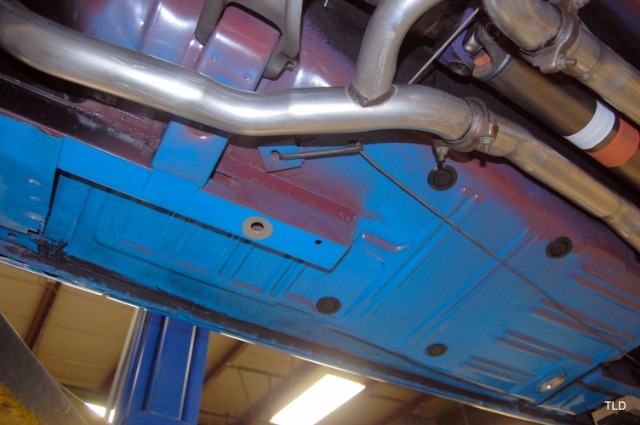 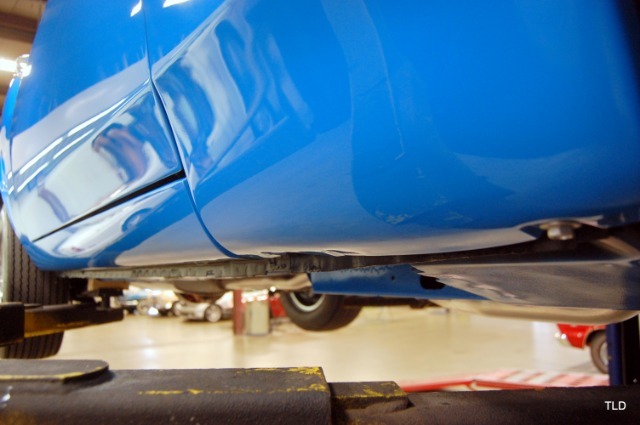 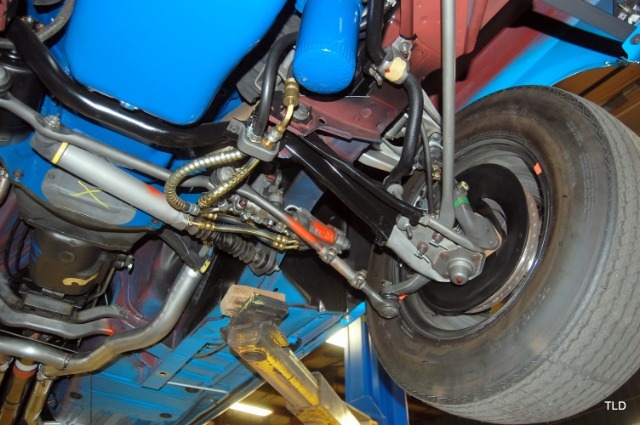 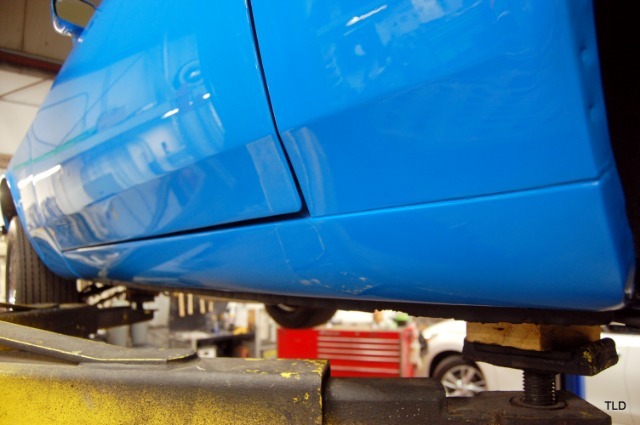 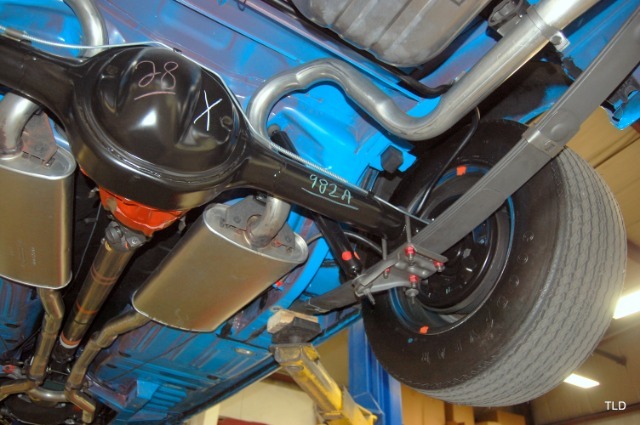 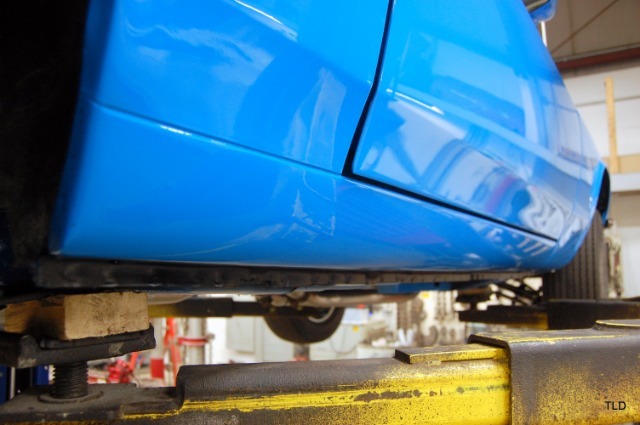 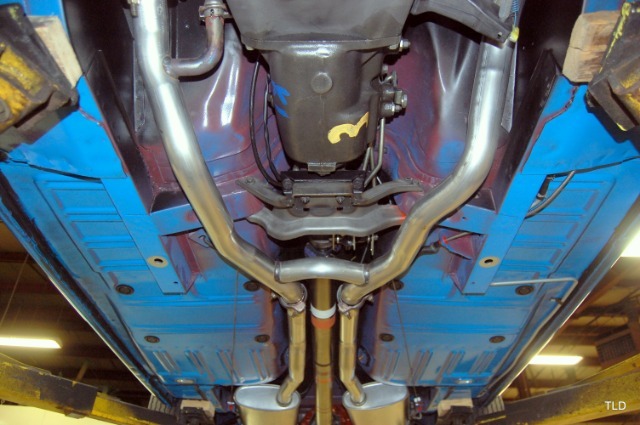 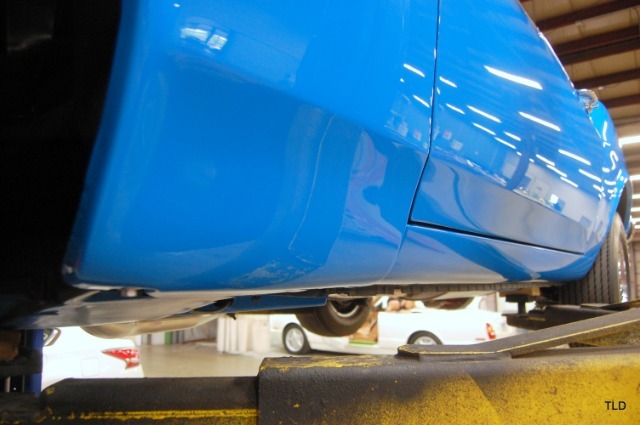 The undercarriage reflects the same attention to detail, with factory-correct overspray and NOS components in their respective places. 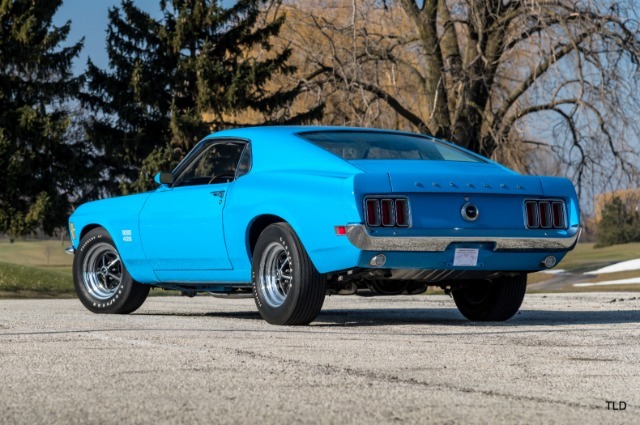 In addition to the aforementioned Deluxe Marti Report, this investment-grade 1970 Ford Mustang Boss 429 is accompanied by exceptional documents including the original invoice and gate sheet. 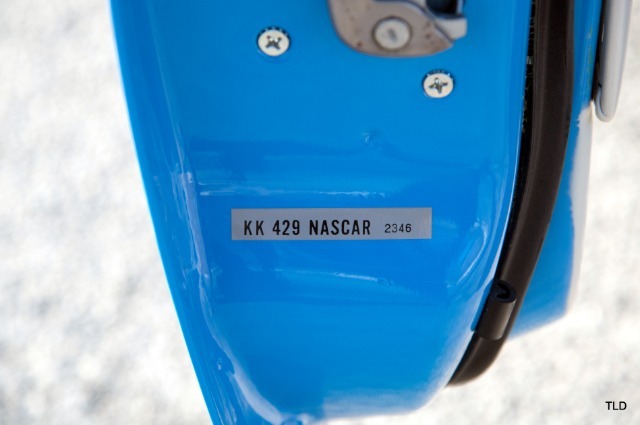 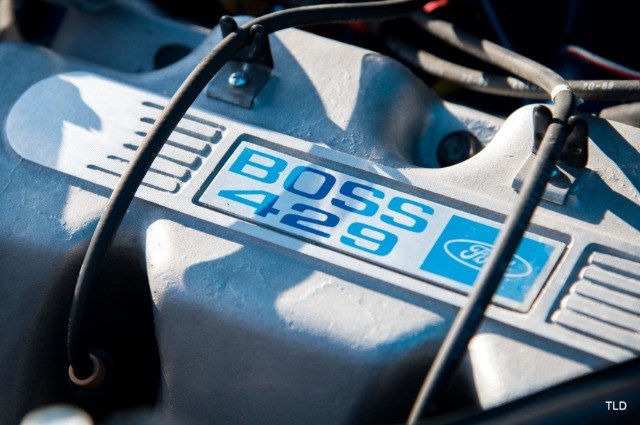 Outstanding in every possible respect, KK 2346 is one of the finest examples of the legendary Boss 429 available today.